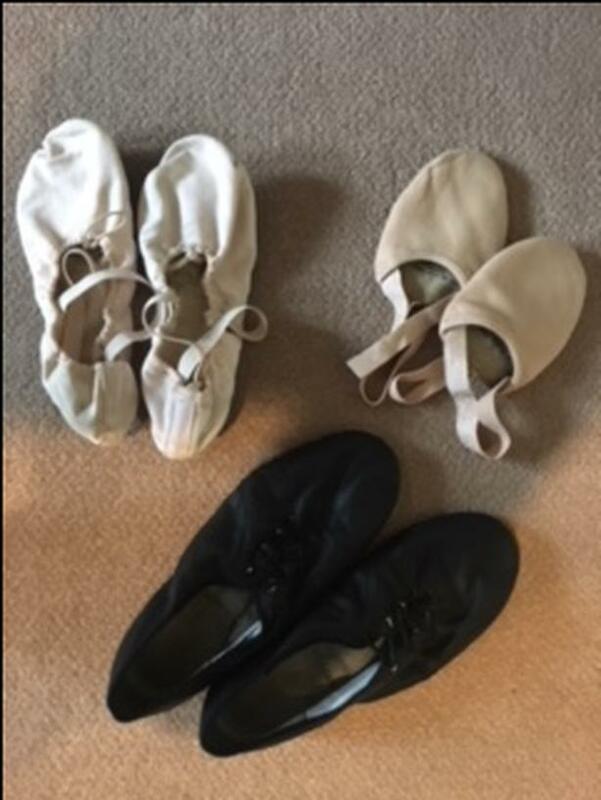 Leather jazz shoe, fabric upper, leather bottom ballet slipper. Size 9 for both. Medium dance leotard and shorts.